This week was the 4 person yellow ball with one additional score each hole, with 39 players taking part. We had cloud cover, but the luxury of no wind. Jan Jakobsen was going for his 5th straight win – could he do it? Sorry Jan, not this time – although you did get the only 2 of the day on 17. 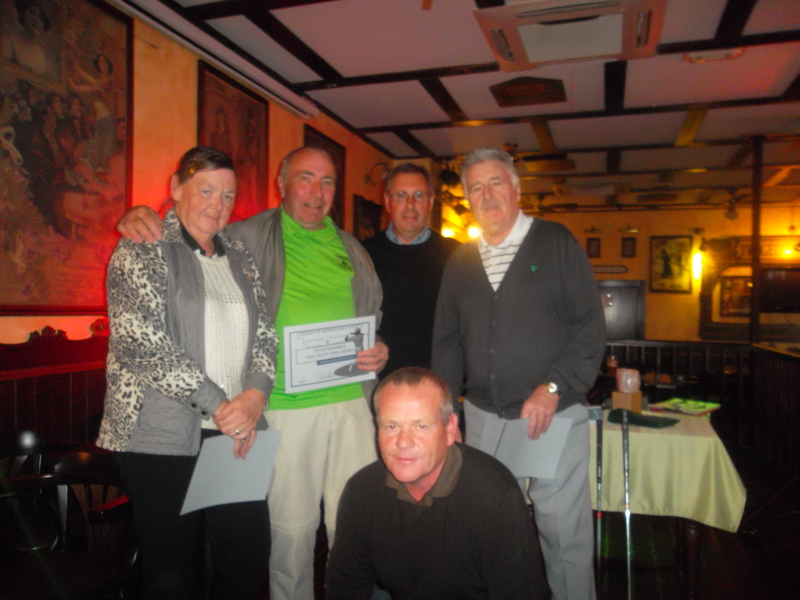 However, you did not have the lowest score – Barry Elmore (who is the captain of Salud golf society) had an ace on the 11th hole. Well done Barry, you will be getting a trophy for your outstanding effort. 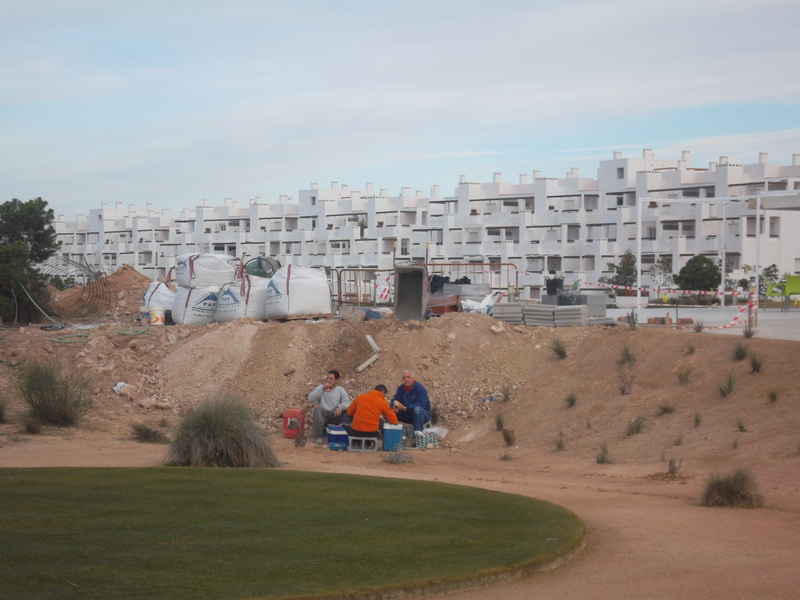 Work has started on access from the driving range to the clubhouse – should be ready for next week. Work started but not going as fast as we would like…….. Looking from the other side however, it is looking good. The anniversary Trophy is next up, with pairs being drawn next Wednesday night. There has been a change of entertainment for this presentation evening, the Bee Gees, have refused to do it, there agent originally accepted the booking and now the group will not do it. We have been telephoning and emailing them for over 1 week trying to resolve the problem they said existed, we do not know what the problem is. We have now booked another group called G & T.
The cost of the evening is 12 euros per person, we are now looking to collect this, You can pay in the clover on Wednesday evening or Friday at the presentation, could you please pass this information on to your friends who will be attending. If you decide that you don’t want to go now could you please let us know so we can free up the places we only have 5 places still available. We are sorry for the change but its out of our control. The cut off date for nominations for committee and any proposals to be discussed is February 20th 2013. 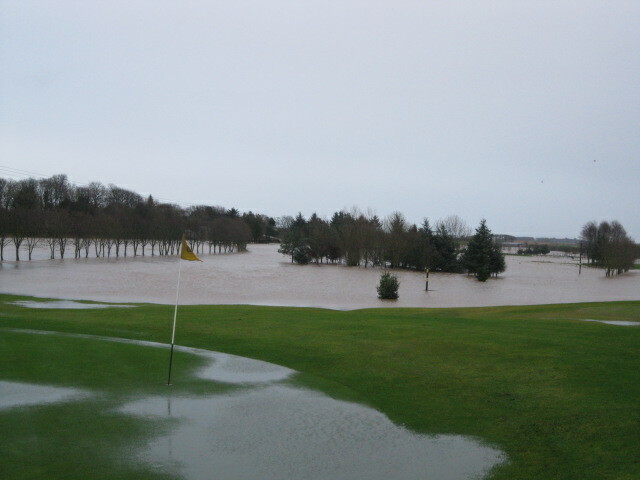 We are spoilt here at Condado…………………..many of our friends are not so lucky around the world………..
As you can see (above) it was a bit damp at Sandy and Dorothy’s course in Peterhead (Scotland) before christmas! 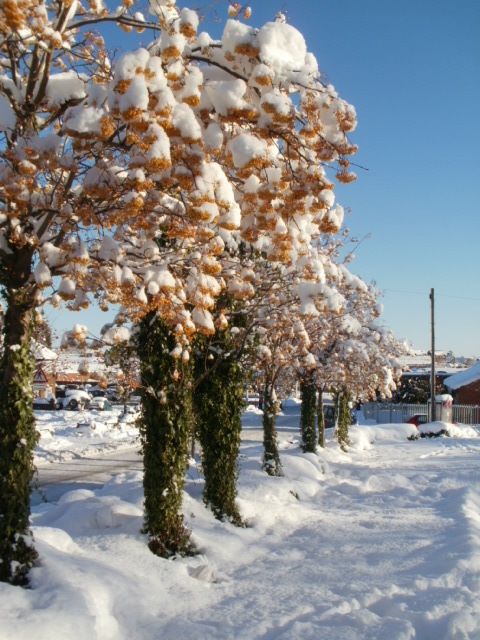 In England the floods have also affected play, and now the snows have arrived! Of course the norwegians have to turn to skiing for the winter months and they tend to come out to Condado for a week or two in winter to get their golfing fix! Another fine day, quite warm for the betterball competition with 40 players. 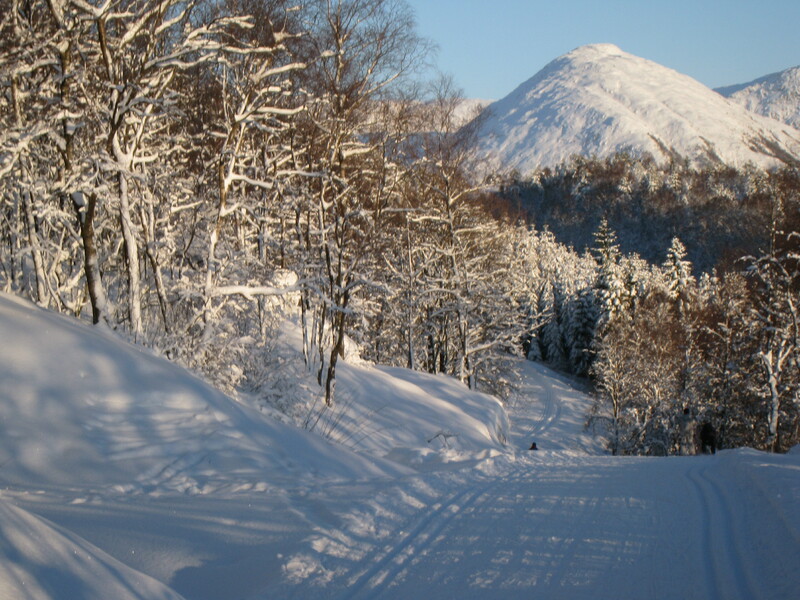 A normal winters’ day at Condado……..
Again, it was Jan Jakobsen who has just won his 4th consecutive competition, in partnership with wife Lis. The photos seem to be the same every week! There are only about 16 places for the evening presentation for the Anniversary trophy at the Condado Club in 2 weeks (12 euros). so please contact Cath ASAP if you want a place. Dave Lloyd has sponsored the event and has obtained some nice prizes for the raffle at night – golf vouchers, meals for 2 etc. more details next week. 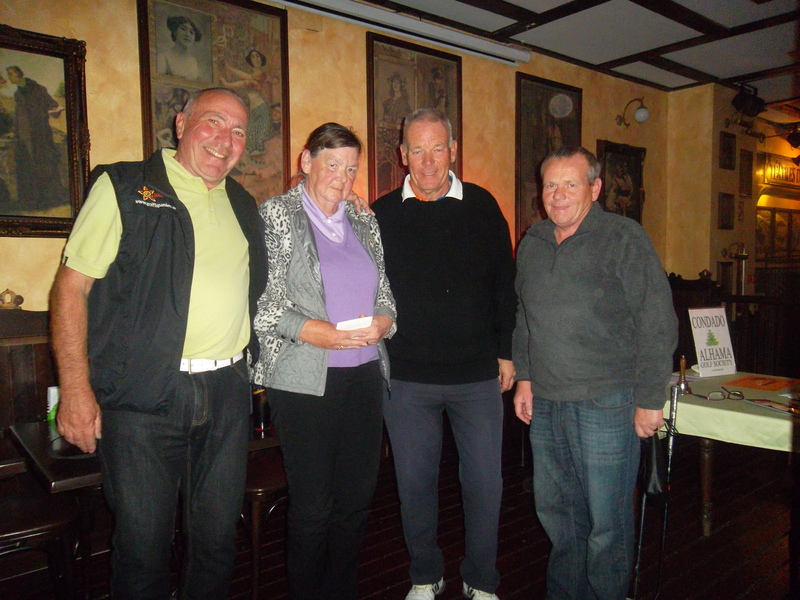 The society met with Global Golf management for informal discussions. Society rates have been held at 45e inc shared buggy. The walking rate has increased slightly from 39e to 40e. I suppose that means the cost of a buggy has fallen from 6e to 5e! Under the rapelle system we got 10 extra vouchers each quarter if we reached a target of 300 green fees (not including course members). We achieved this each quarter in 2012. Global Golf intend to increase this target in 2013 (unknown at the moment). For info we reached an annual figure of 1900 in 2011, and 2163 in 2012. We tried to get concessions for course members. Our suggestions for the same shared buggy price as non members was rejected. So was the idea of getting a free round for every 10 played. We asked for a reduction on the 25e price for opens, as all non members pay less than normal – members pay more. Again, this suggestion was rejected. However, it looks like maybe GG will donate an annual trophy and momento for a course members only competition. Also, fees for the 6 course membership can be paid in instalments – 70% down and the balance later. GG asked us to promote their competitions at the 6 courses being held monthly over the summer. Problems with unavailability of times for the society should be allieviated now we can book times 12 months in advance. The weekly notice on the condition of the course has been welcomed, but it would be helpful if there was an english translation. 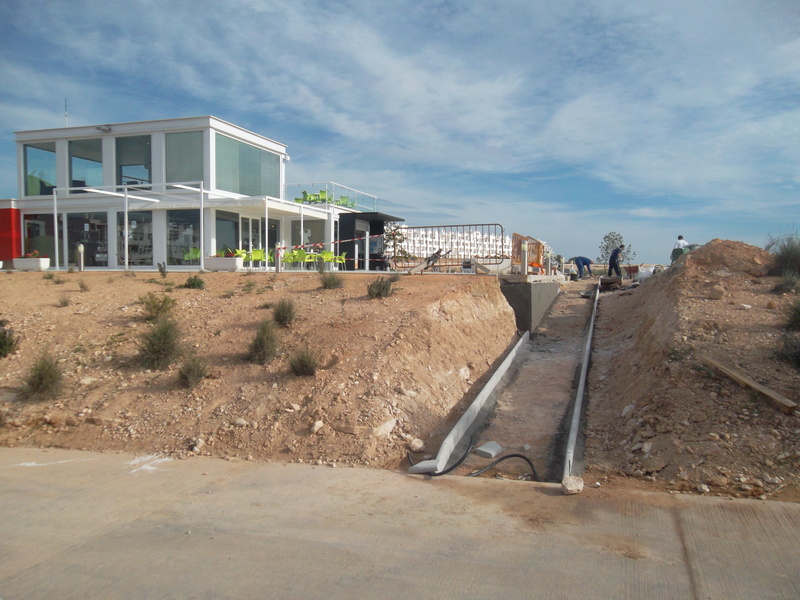 It looks as though there are plans for a buggy path from the clubhouse to the driving range, although work has not started yet. We expressed dissapointment with the bare patches in many areas of the rough, and lack of water in the lakes. The problem of security in the shop was also raised – when the bar is open later than the shop. This week was another scramble, and with numbers looking low mid-week we finally managed to recruit 8 teams (31 players). The scores were higher than normal probably due to the strong wind and the January chill. It was amazing, however, to sit on the clubhouse terrace after the game in relatively calm but sunny conditions (it was sheltered as we could see the flags on the practice green blowing sideways). Next week is a pairs betterball. 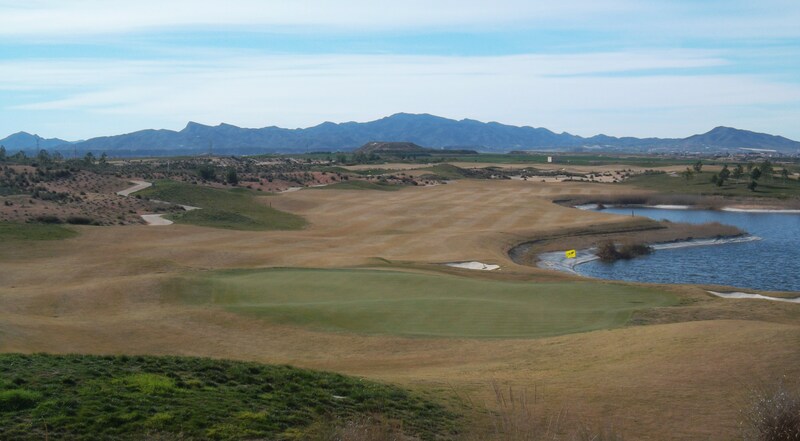 Remember if you want to enter the 1st major of the year (Anniversry Trophy) on February 1st contact bookings@cdagolf.com. Also there are only a few tickets left for the evening presentation and entertainment (BeeGees) so get in touch with Cath at cath@cdagolf.com. Our meeting with Global Golf has been rearranged for next Tuesday. Already we know annual fees for members has gone up. A Treat for Golfing Football Fans. 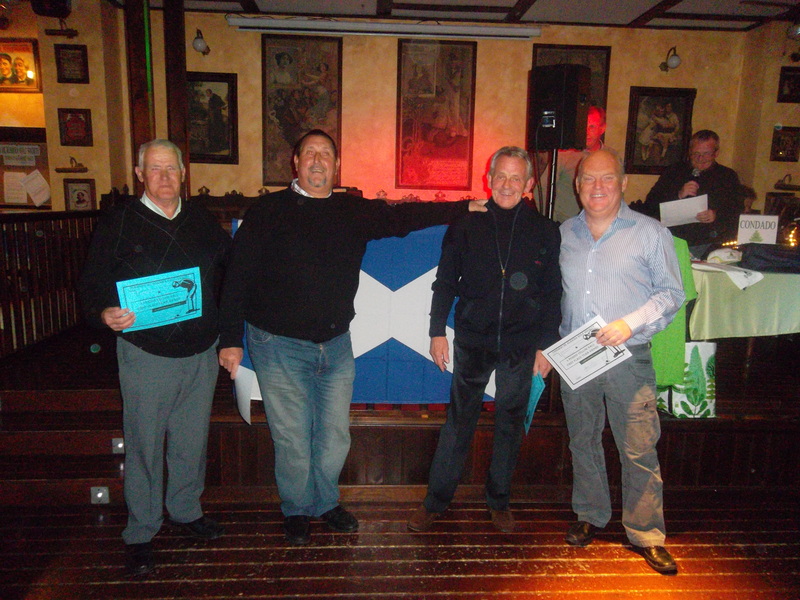 In March there will be a Gala Evening and Dinner for Los Amigos de Mazarron FC in support of Mazarron Football Club. This is taking place at the Hotel la Cumbre on Tuesday 12th March and the guest speaker is Steve Daley, former Manchester City and Wolves footballer. We also have former Sheffield Utd Leeds and England International Tony Currie here. If you would like to attend the dinner, tickets which include a five course meal with coffee, house wine, beer and soft drinks included during the serving of dinner are 40€. In addition to the guest speaker there is a Comedian, Pat Martin and music and dancing with the Beagles. Also on Monday 11th March, the day before the dinner a Celebrity Golf Day at Camposol golf course has been arranged in which both Steve Daley and Tony Currie will be taking part. 6 places are available to play alongside either Steve Daley or Tony Currie, 3 will play in Steve’s foursome and three with Tony. Photographs will be taken with both celebrities. After the golf, lunch is included in the Golf Club bar with Steve and Tony. The cost to play 18 holes with either Steve or Tony including lunch is 50€. Buggies are available at an additional discounted cost of 10€ pp. The remainder of the golfers will play in the same competition and the cost for the 18 holes will be 32.50€ (normal price is 40€). Again, buggies are available (pre-booking essential) if required at an additional cost of 10€ pp and lunch is available at normal golf club prices. Full details of these golf day and Gala dinner are below.